You probably have not thought about this, but have you ever seen someone who owns a DSLR and is photographing with a flash in broad daylight? Think about it. Is the flash really assisting the photographer a warm sunny day in July? Does it contribute to a better photo? In this case, the photographer is most likely using the Auto mode. So would you like to become a better photographer without having to learn EVERYTHING about the DSLR and all the technical terms? Here is how in a very simple guide. There are three elements we must cover. ISO, aperture and shutter speed. The Auto mode sets these three automatically depending on where you are shooting and what. A very basic description of ISO is that it has to do with the amount of light that you have in your environment. Change the ISO to 100 or 200 if you are shooting outside on a bright day. If you are indoors, set the ISO to 800 or 1000 tops. More than so can make the picture grainy. Have you ever seen a picture where the people in it are in focus, but the background is blurry? The setting that can make this happen is aperture, also known as f stop. If you buy a medium-end DSLR and an objective is included, you will probably not be able to set the f stop all too low. The lower the f stop, the more blurry the background will be. For example, if you want to take a picture of two people, you would set the aperture or f stop to about 2.0 – 3.0. Since most stock objectives only go down to f3.5, you will have to stay there. If this is the case with your objective, I would stay at that aperture at all times. Only exception is if you are shooting landscape pictures. In this case, use the maximum aperture you got! Shutter speed is the amount of seconds your camera is “taking in” from the thing you are shooting. If you set it to 1/20, the shutter will stay open for 1/20th of a second, and collect all light from where you are aiming for that period. 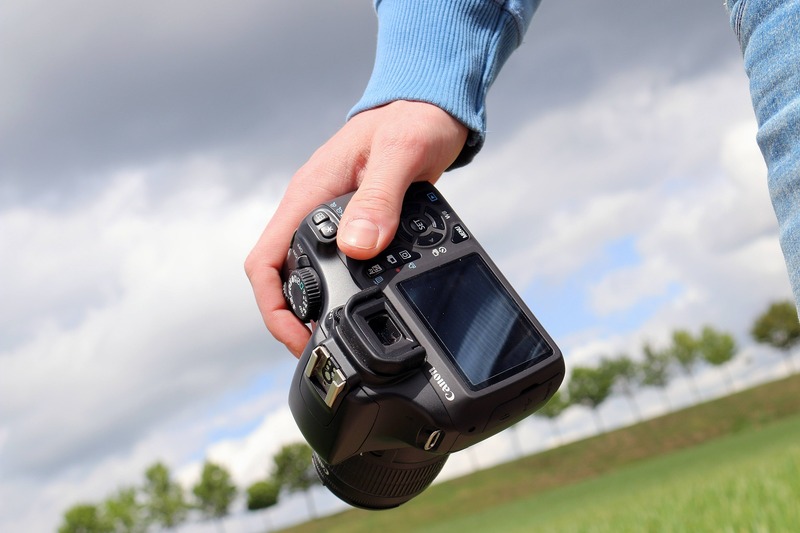 The basics of shutter speed is that if your object is moving, you will need a faster shutter speed, for example 1/1250. If the object is standing still you could typically use a slower shutter speed, but I would never go slower than 1/100. If your shutter speed is very slow, for example 1/20, the slightest movement while the shutter is open can make the picture blurry. This is why you want faster speeds unless you have a steady hand. Now, when you know a little more about the three most important functions of your DSLR, it is time to use them to take a great photo! First of all, use the wheel on the top of your camera and switch it over to the “M” which stands for Manual. I always begin setting the ISO. If you’re in a darker setting, set the ISO a bit higher, and if the setting is brighter, set it lower. Knowing exactly how to set the ISO is not always easy, but you should really try playing around with it and see what fits your liking the most. If I am at a party or wedding, I normally set the aperture to f3.0 and use it at all times. If you feel that the picture is too blurry at the edges, or someone’s face is getting blurry outside of the center of where you are aiming, you could increase the aperture. Say you are at your children’s prom and you want to photograph your children with his/her prom date and you need that cool effect where the background is blurry, you will need an objective that can go as low as f2.0. If you cannot see the light meter on the screen, try looking through the viewfinder. Furthermore, sometimes the negative and positive sides of the meter are opposite depending on the camera. Beneath the light meter there should be a marker or an arrow. You will typically want to keep the marker in the middle, around the 0. Going more to the + or the – will make the picture brighter or darker and staying at the 0, your photo will have a proper balance in lighting. To adjust the marker, use the scroll wheel on the top right of the back of the camera. Using the wheel will actually adjust the shutter speed. You can really imagine the ISO, aperture and shutter speed forming a triangle, where you have to find the middle. By setting these three neatly, the meter will find it’s middle, and you will have a good balance in the triangle. I hope that you learned a bit more about photography today. May all of your future pictures be amazing! iPhone Release Patterns – New iPhone Incoming? Is Virtual Bingo A Thing Of The Future? MacBook Pro Late 2016: Overrated or Absolutely Amazing? What Can the Amazon Echo Really Do?